Usually loaded with sugar, oats and more sugar, my Keto ANZAC Biscuits retain that crunchy yet chewy texture without all the carbs. ANZAC Day in Australia is kind of a big deal – it’s when we pay homage to the Australian and New Zealand Army Corp, and commemorate all those who served and died in all wars, conflicts, and peacekeeping operations on behalf of our beautiful country. While it’s a very solemn day overall, one positive thing about this time of year is Keto ANZAC Biscuits. For our American readers, this biscuit is what you would call a cookie. 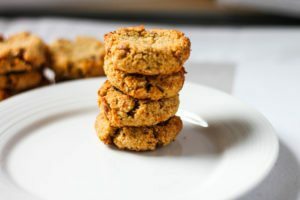 So I guess if you took these out of Australia, you might call them an Keto oat cookie – without the oats of course. I didn’t have these planned today, but when my boss kindly let me leave work early I thought what better way to celebrate than doing some recipe development. 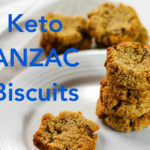 And what more worthy recipe than Keto ANZAC Biscuits. 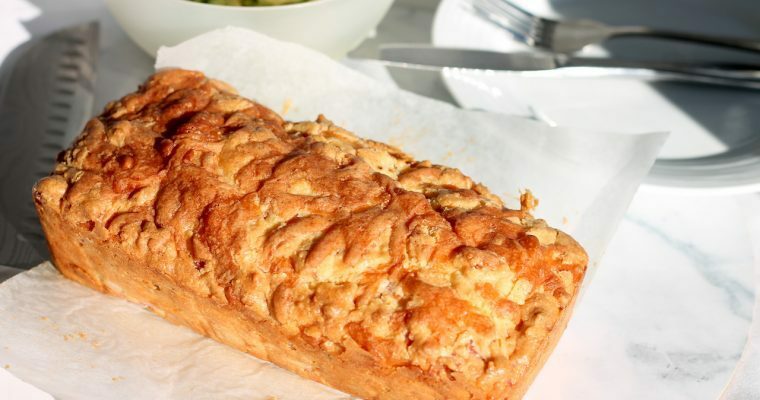 In this recipe you can use slivered almonds, chopped walnuts or pecans. 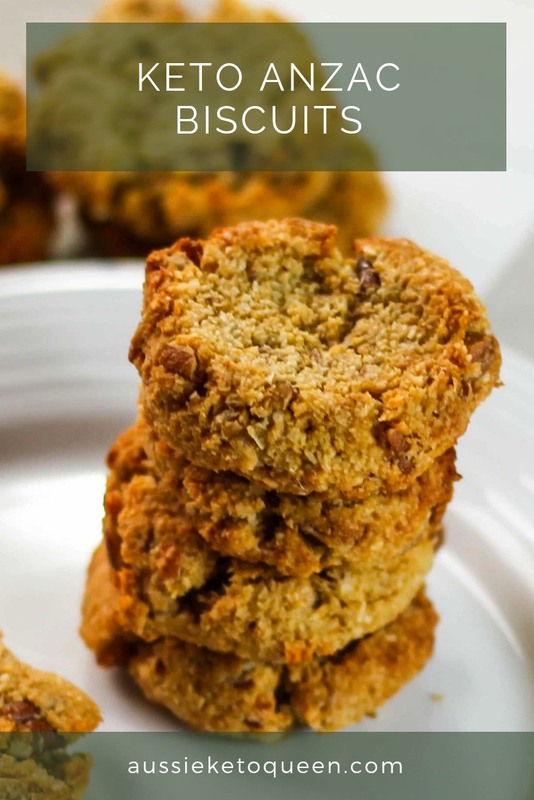 I recommend the almonds to recreate the texture and look of the rolled oats used in the original ANZAC Biscuits. (P.S just kidding, if you disagree, just cook them a few more minutes!). I also had a reader try this recipe with hazelnut flour and said the final product was delicious. Its a little higher in carbs than normal almond meal but I think would add a delicious different flavour to the biscuits. Enjoy, and Lest We Forget our ANZACs. 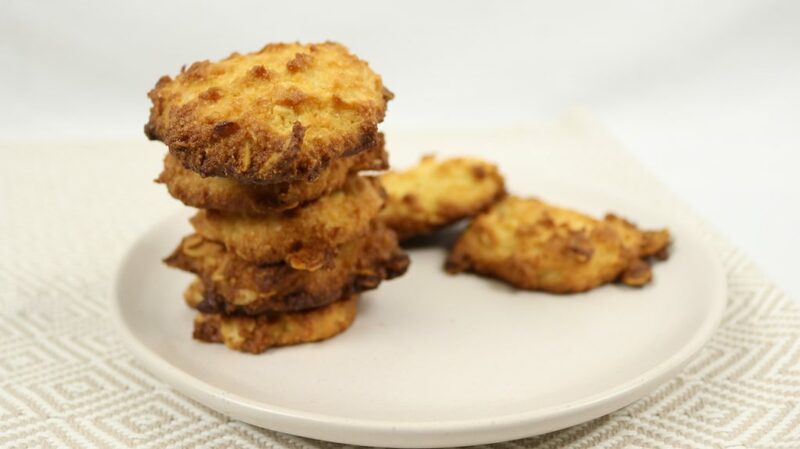 Soft, buttery and chewy - everything an ANZAC Biscuit should be without the huge amounts of carbs. Preheat the oven to 150C / 302F. Prepare two cookie sheets by lining with baking paper. In a large mixing bowl, add the almond meal, coconut and almonds or other nuts. Mix to combine. In a small saucepan, add the butter, xylitol and vanilla. Place over medium-low heat and melt completely, stirring regularly. Let simmer for 4 - 7 minutes until golden brown and smelling like caramel. Remove from heat and stir in the baking powder and water to the melted butter. This will bubble up a bit, continue stirring until it is completely incorporated. Stir the butter mixture through the dry ingredients, and then add the two eggs and mix thoroughly to combine. Roll tablespoon sized balls out and place on the baking sheet. Flatten the balls out to your final cookie size (note these barely spread in the oven, so you don't need too much room in between them). Enjoy still warm or keep in an air tight contained for up to a week, and be thankful for our beautiful country kept safe by our ANZACs, past and present. 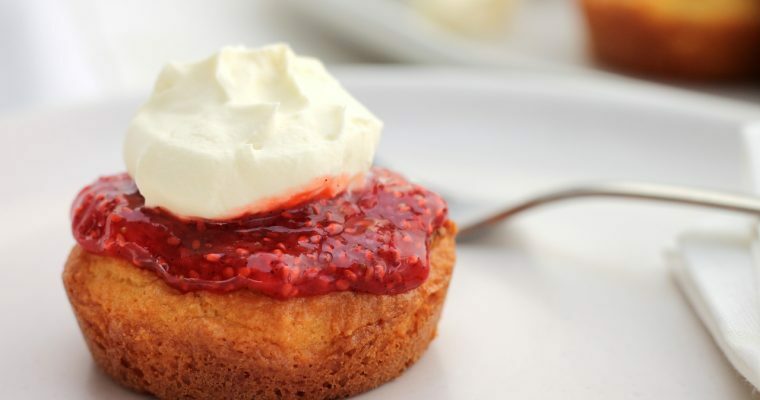 Great recipe a firm favourite ,thank you.